Makes sense, right? Humans mix chemicals all the time to make medicines, household cleaners, and other health and wellness products. But wood ants (Formica paralugubris) have apparently been at it for millions of years longer than us. In a study published in Ecology and Evolution, researchers from Switzerland, at the University of Lausanne and University of Neuchâtel, discovered that wood ants not only know about the natural antibiotic properties of the resin of certain types of trees, but they use another ingredient that they secrete to mix up an effective antibiotic to protect their hills. With about 10,000 species of ants on the planet, ants are not hard to find. Social insects, ants live in groups underground, in hills, and in trees. Some ants, like army ants, live on the move. Ants can live in enormous, networked colonies, where queens and young are tended and wingless female worker bees manage the colony. Male ants do not enjoy a long lifespan—they mate with the queen and usually die shortly after. Ants are omnivores, often long-lived (well, except for the males), and count insects, seeds, fruits, and even small animals as menu items, depending on the ant. Conversely, ants are food for many species, including lizards, toads, and even humans. Wood ants live in large mounds where they store dead insects, and maintain a relatively high humidity to tend the queen and ant larvae. Like other ants, wood ants engage in continuous hygiene practices to keep their environment and other ants clean. The new study indicates wood ants are also compounding antibiotics to deter germs in their homes. 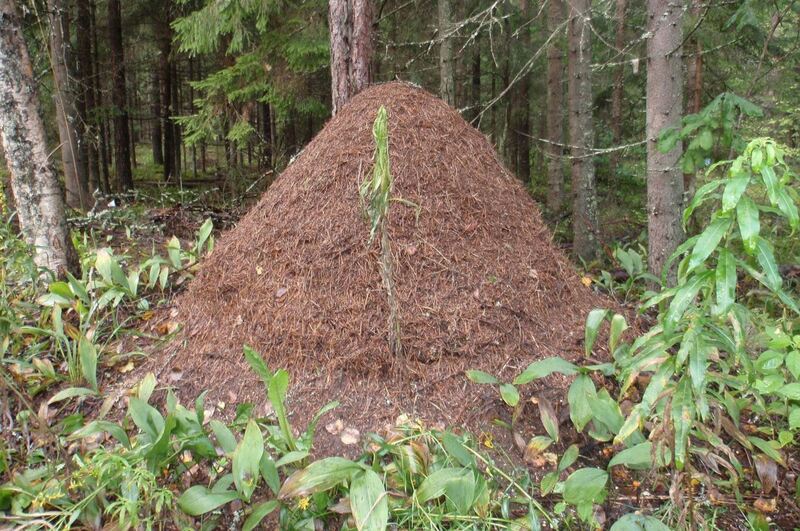 Researchers already knew that wood ants routinely gathered large amounts of resin from coniferous trees and ferried it back to their mounds. The resin of these trees is known to contain antimicrobial compounds, and the ants set the resin near their larvae. The resin reduces the population of fungal and bacterial microbes in the ant nest, lowering risk of infection. Yet scientists suspected something more was going on. Ants communicate through sound, touch, and chemical signaling. Formic acid is one of the chemicals produced by ants. Used by humans for its antimicrobial properties, formic acid is a component in some food preservatives, cosmetics, and is used in agricultural, textile, and other industries. In stinging nettles, bee, or ant stings, it is formic acid that irritates human skin. Ants spray formic acid, or release it through stinging, to overcome their prey or enemies, and use it in smaller amounts to clean each other. Importantly for wood ants, formic acid is effective against a primary fungal pathogen of ants, Metarhizium. In studies involving other types of ants, scientists purposefully infected nestmates with Metarhizium. The ants on which the spores were dripped were immediately cleaned by healthy ants. The reduction of spores on the infected ants lowers death rates and the pathogen load on individuals, while keeping pathogens from sweeping through the colony. The cleaning of infected ants may also introduce immunity to ants who cleaned the not-yet-sick ants, and allow infected ants to survive a more mild infection. Ants suffering fatal infection usually voluntarily leave the colony. The antimicrobial capabilities of tree resin were significantly improved after contact with wood ants. Twigs and stones showed no ability to inhibit pathogen growth after exposure to the ants. Ants deposit large amounts of formic acid throughout their nests. The authors label the capability of these ants to concoct an effective antibiotic as "defensive mixology." 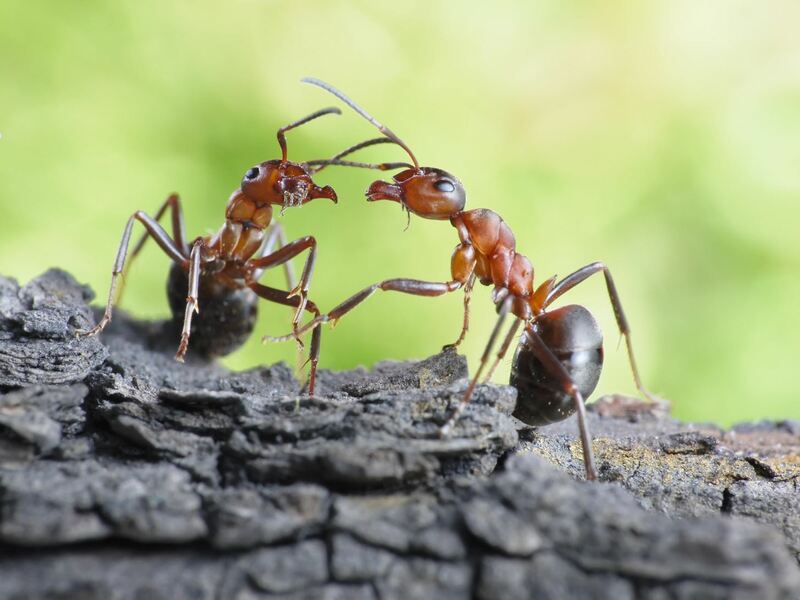 While other organisms manipulate and collect resins, the take-home point of this study is the extraordinary ability of ants to "combine antimicrobial substances of diverse sources to obtain a synergistic protection." In other words, wood ants combine two powerful ingredients to gain even more effective protection against fungal and bacterial infections in their colonies. Highly successful, and pretty tough, ants emerged during the mid-Cretaceous period, over 100 million years ago, and outlived the disaster that wiped out the dinosaurs. With the ability to create their own antibiotics, it is really no surprise.